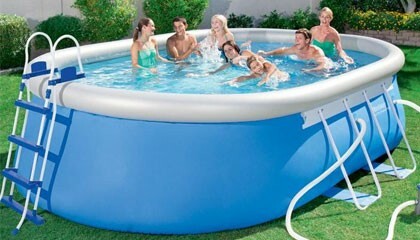 What is a suitable base for the Steel Pro Oval Pool? This can be caused by excessive chemical use or over exposure to direct sunlight. If this is the case, this is not a manufacturing issue.